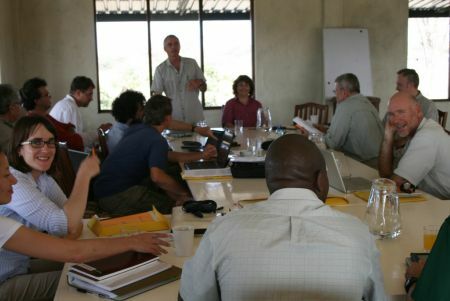 This symposium examined the development of scientific prehistory research in East Africa that resulted from the discovery of the Zinjanthropus fossil by Mary Leakey in 1959, and the subsequent dating of Olduvai Gorge in 1961. This led to field research programs in Ethiopia and Kenya, the findings of which now dominate discussions of human evolution. The one-day public symposium was held at The United States International University (USIU), on the outskirts of Nairobi. The Vice Chancellor, Freida Brown, welcomed the participants and audience, followed by Eric Kaler, the Provost of Stony Brook University, who introduced the symposium series. Frederick Grine then introduced the day’s speakers. The papers began with reminiscences from Philip Tobias on his long association with “Zinj”, followed by a summary of the significance of “Dear Boy” as Mary and Louis called Mary’s discovery, from Richard Leakey, The day continued with papers providing a general summary of what we know of this intriguing and fascinating species that became extinct less than 1.4 million years ago and descriptions of diverse aspects of Paranthropus boisei including the postcranial skeleton, feeding biomechanics, isotopic analyses and diet. Richard Leakey closed the day’s proceedings, and a reception followed. 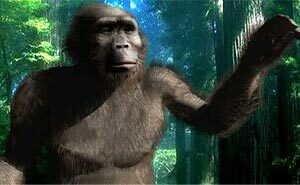 Those who listened to the presentations left with a better understanding of this East African robust australopithecine. The main symposium followed behind closed doors at the beautiful and remote setting of the new Turkana Basin Institute Turkwel facility, on the southern bank of the Turkwel River east of Lodwar. Here a group of 26 scientists spent 5 days discussing their latest research and discoveries of robust australopithecines. A number of the participants who work in South Africa contributed interesting comparisons between the southern and eastern African species of robust australopithecines. Discussions covered all that we currently know or think we know and topics ranged from morphology, diet, life history, dental morphology, habitat preferences, taphonomy, isotopes, dating and many more. The discussions were open and collegial, and led to new understandings and new collaborations.For some it was a return to Turkana after more than 30 years, Yoel Rak was at Koobi Fora just before he was married in 1970. Bernard Wood had been a member of many of the earliest expeditions and had worked with Richard Leakey, Alan Walker and Michael Day on the initial descriptions of many of the boisei specimens known from the Turkana Basin. For others it was their first visit, but for all it was a new experience to attend a relaxed and informative meeting in the seclusion of the desert, but with the comforts of stone buildings, fresh water, internet access, and good food.